Remains of the Plimpton hoe handle factory in Purgatory - early 1940's. This was the last of the Plimpton factories. 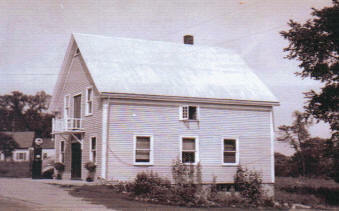 This building was located to the right of the Purgatory Post Office and to the back near the stream that flowed from the old saw mill. The man and boy pictured are son and grandson of Charles W. Goodwin, visiting from Boston. 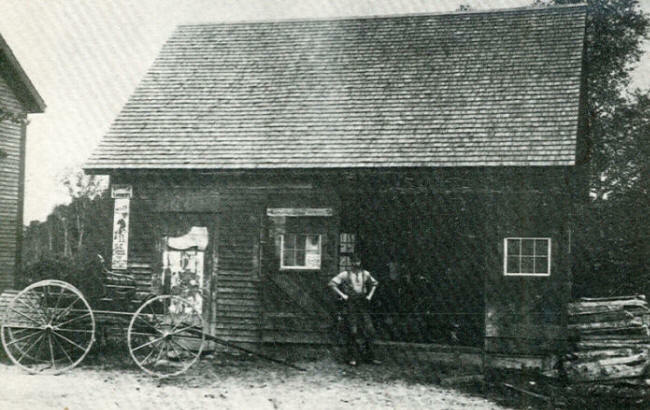 This Blacksmith Shop was in Purgatory next to the store. 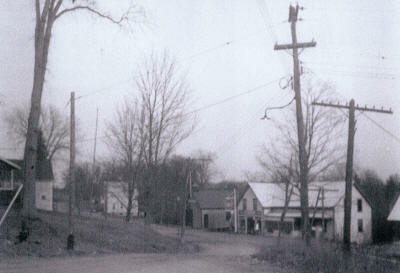 View of Hallowell Road from the junction of Hardscrabble Road and Whippoorwill Road. 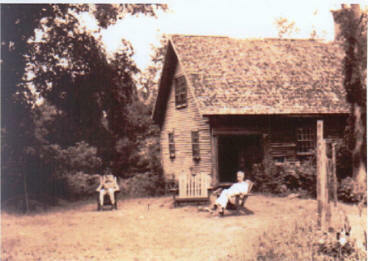 The large white building is the store, owned by Don and Elsie Reeck. Just to the left of the store is the Fire House. 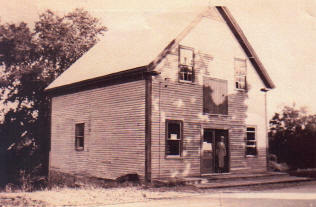 The next building to the left of the Fire House is the Post Office pictured above. This photo is the same as the above photo but just a different time of year. It was taken from the front yard of Fred Edgecomb's house mid way up Hardscrabble Road. Whippoorwill Road is in the foreground. 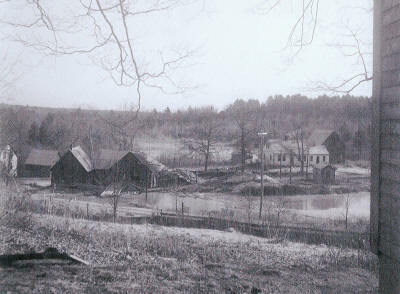 The lumber mill is left of center. The white building on the left edge is the store pictured in the photo to the left. Next is the shop pictured above with Richard Morris in it. 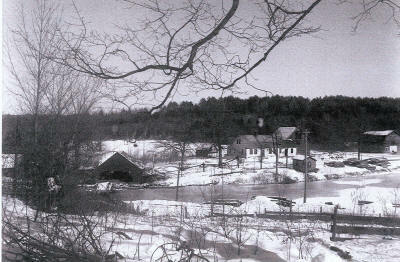 The house to the right belonged to Hulbert and Isabelle Linton and is on Hallowell Road.